Moms and Dads Are Raising Great Kids! Do moms really read parenting books? Of course they do they’ve probably read dozens especially when their first baby was born. Have those books been helpful? Yes. In some cases the information about childcare development and medical health issues is very practical and often comforting. But frankly, reading book after book hasn’t reduced the amount of guilt, stress, and mania among mothers around us. In fact it may have increased it. 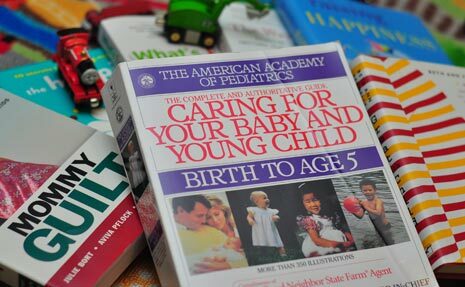 There have been just too many parenting books by too many authors who call themselves experts. The net result has been confusion, and mothers who still doubt themselves and worry that their children aren’t thriving. When researching parenting books make sure that the author has children and is actively involved in their children’s day-to-day lives. It’s not too much to ask of authors of books on parenting to have hands on experience and education about parenting. That is the best. Isn’t it? There are some solid parenting principles that have been around for decades but all to often forgotten. There are parenting books that simply remind us all the basics. What has always been natural, instinctive, and intuitive for real mothering. Unfortunately, these core principles have been obliterated by the frenzy and mania of commercialized parenting. But now it’s time to get back, get real, and restore the simple truth about mothering: That its foundation is the powerful and unconditional love and connection that ultimately lasts for always. So trust yourself and those maternal instincts no one knows your child better that you. Don’t forget to relax, enjoy the moment, and remember to laugh. I know! You’re thinking that’s easer said than done. Yes, it is but it works!